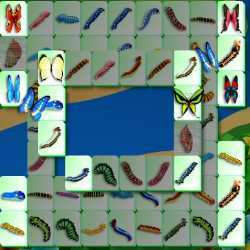 Find identically-paired Mahjong tiles to free the butterflies trapped inside and let them fly away. Every time you identify a new pair, your existing pairs will mature one step further, and eventually they will blossom into fully-grown butterflies that you can match to let them fly away. You can only match free tiles, a free tile has nothing on top of it and has at least one free side (either its left or right). 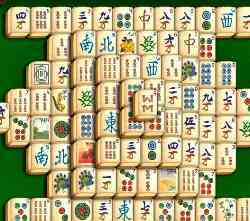 LEFT CLICK on two matching mahjong tiles to remove them. 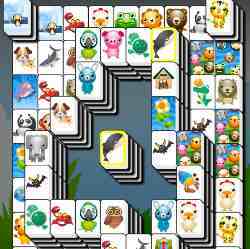 Click here to send Butterfly Mahjong to your friends using your default email program.